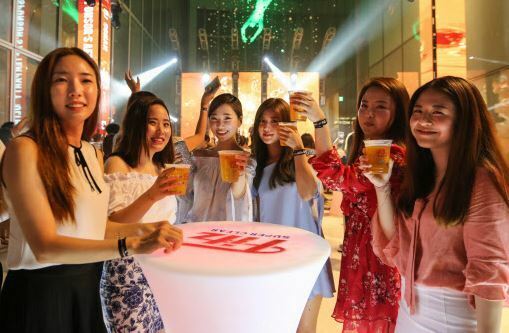 South Korean women tend to consider themselves chubbier than they actually are while men are inclined to think the opposite, a survey showed Thursday. About 20 percent, or 5,002 women, of the 25,281 women polled said they are overweight, although they actually have normal body weight, according to the survey jointly conducted by professor Kwon Jin-won of Kyungpook National University and Park Suzan of the Institute of Health and Environment of Seoul National University between 2007 and 2014. Of those checked, 1.1 percent, or 274 women, with normal weight said they are obese. Those who have a body mass index of over 30 are considered obese and those with 25 and 29.9 on the BMI scale, a measure of body fat based on height and weight, are seen as overweight. About 27.6 percent of women surveyed said they belonged to a heavier group than they actually are while 27.2 percent of 18,602 men questioned responded that they belonged to the lighter group than they are in reality. About 66 percent of women had normal weight, but only 40.6 percent said they belonged to the average group. For men, only 39.5 percent said they had normal weight, although 60.5 percent of men can be classified as normal. The survey also showed the quality of life for those who consider themselves overweight or obese was lower than those who think they are normal.